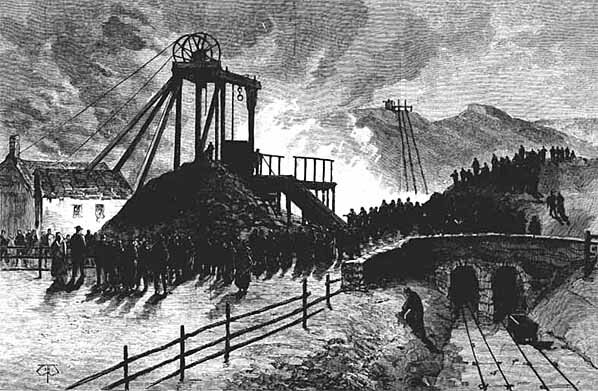 Fire at Mauricewood Colliery. The incline down to the Glencorse branch is seen on the right. See map.